Spanish Prime Minister Pedro Sanchez had called a snap election on April 28 earlier this year after his own 2019 state budget plan failed to make it through the parliament. As of now, Sanchez's Socialist party holds only 85 seats in the 350-seat chamber, where 176 votes are needed for a majority, and has had to depend on cross-party support from groups including Catalan pro-independence parties to pass legislation. 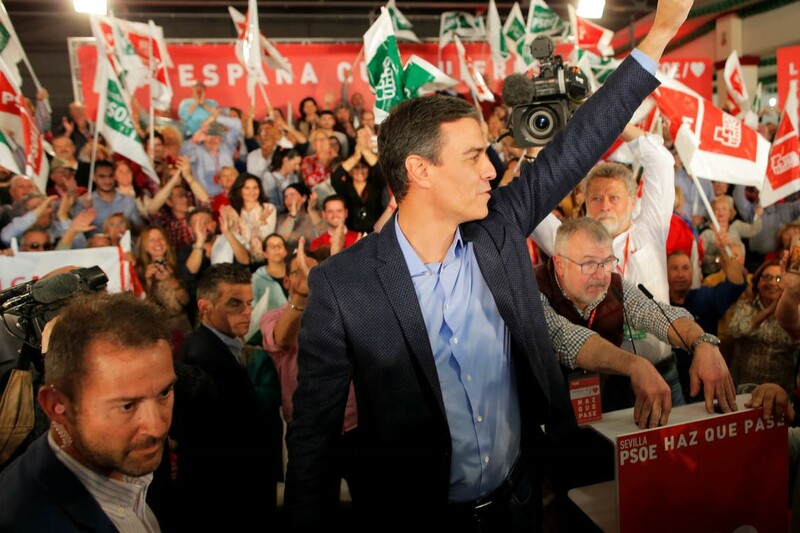 The recent polls have shown that the only guaranteed absolute majority in the Congress would result from a deal between the PSOE(Socialist party) and conservative Ciudadanos – but the latter party has already categorically ruled out doing any kind of deal with the Socialists. Polls also indicate a relatively high possibility of the far-right Vox party entering the Spanish Congress for the first time after they won local elections in the region of Andalusia. Pablo Casado, the leader of the opposition People’s Party told supporters at his campaign launch in Madrid it was urgent to end what he called the “nightmare” of socialist rule. But with an absolute majority for any party looking unlikely, the performance of outsiders such as the left wing Podemos will be critical to the outcome.